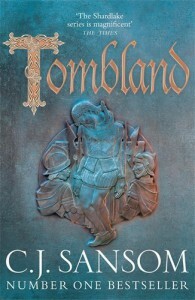 Book 7 of the Matthew Shardlake Tudor Mystery series. Set in the rebellions of 1549 during the reign of Edward VI, two years after the death of Henry VIII. The nominal king is eleven years old and his uncle, Edward Seymour, Lord Hertford, rules as Edward's regent and Protector. Catholics and Protestants are at odds and the Lady Elizabeth has a personal interest in a murder of the wife of one of her distant relatives that she sends Matthew Shardlake, a lawyer in her service, to investigate. Medieval intrigue and mystery mostly keep attention through over 800 pages that cover among other things, Kett's Rebellion in the Tombland area of historic Norwich. These are real places and the history has been well researched. I did, however, think it was overly long. The books in this series contain a lot of detail of every move and I think it was asking a bit much to carry on with so much scrutiny for so long. On one hand it's a good Historical Fiction, but it's also a murder mystery. I'll admit I'm not a big fan of murder mysteries in general and making me wait so long to find out who did it was torment! It is well done in the end though. Those who do enjoy murder mysteries will have a great time trying to sift through the plentiful suspects and possible motives, both political and personal. The author leads us through a merry chase through all the possibilities. I did think that the final reveal was a little forced and not quite realistic, but by then I was just glad to have answers.